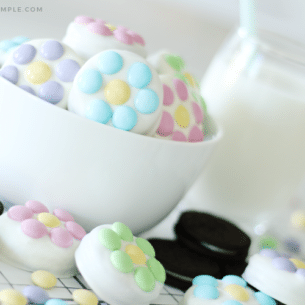 A no-mess, easy to make craft for the kids! 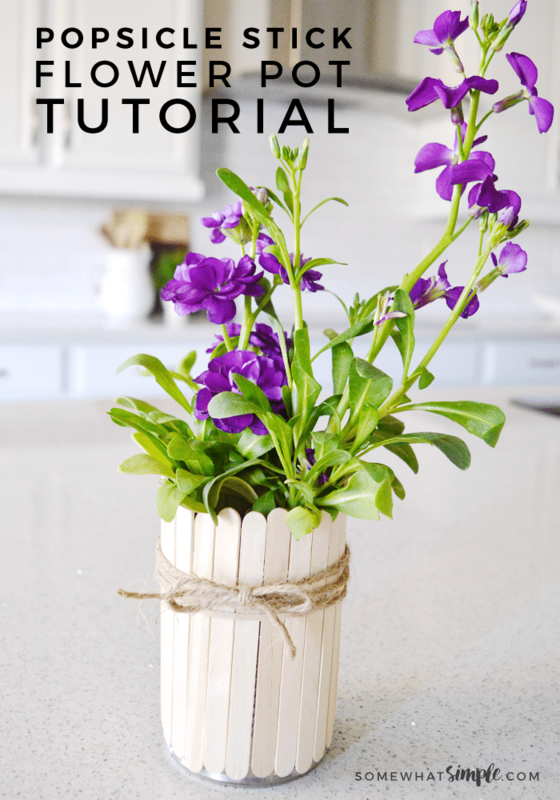 With just a few basic supplies, make these simple + beautiful popsicle stick flower pots in minutes! Between summer camp crafts and school art projects, I’ve made my fair share of Popsicle stick crafts- popsicle stick picture frames, puppets, houses, Christmas ornaments, popsicle stick catapults… most of them oozing with way too much white glue to hold it all together. 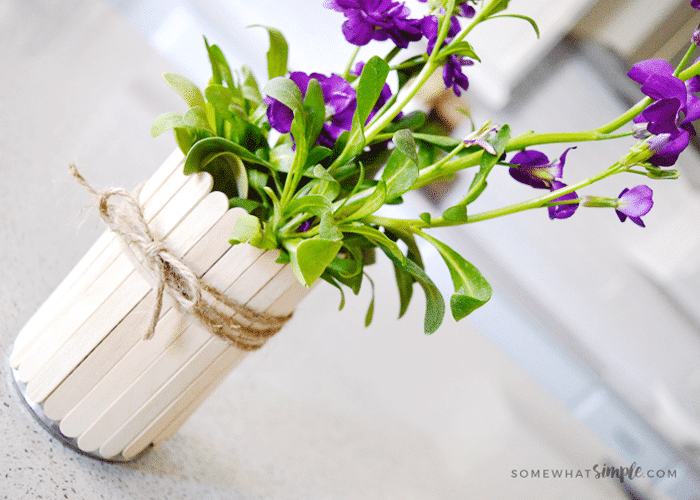 Luckily this flower pot project is glue-free. 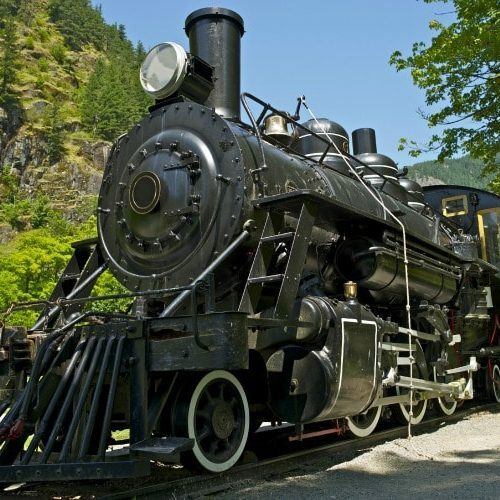 And it’s a fun way to welcome spring! 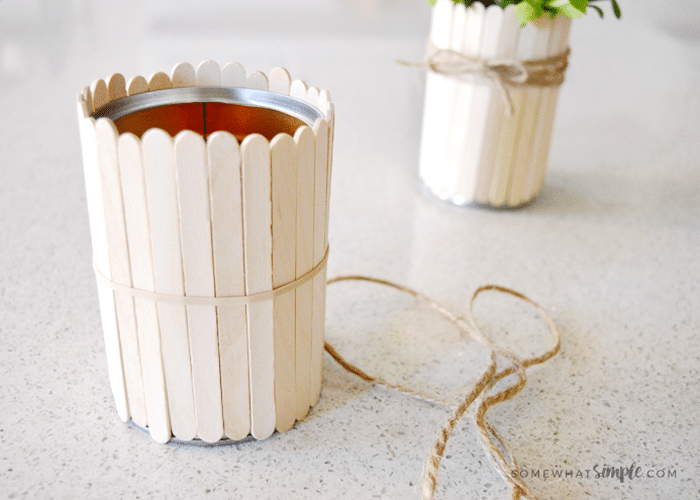 Looking for more way to use your popsicle sticks? Put a rubber band around the can, making sure it’s a snug fit. Place the popsicle sticks under the rubber band, pushing them together so there are no gaps. 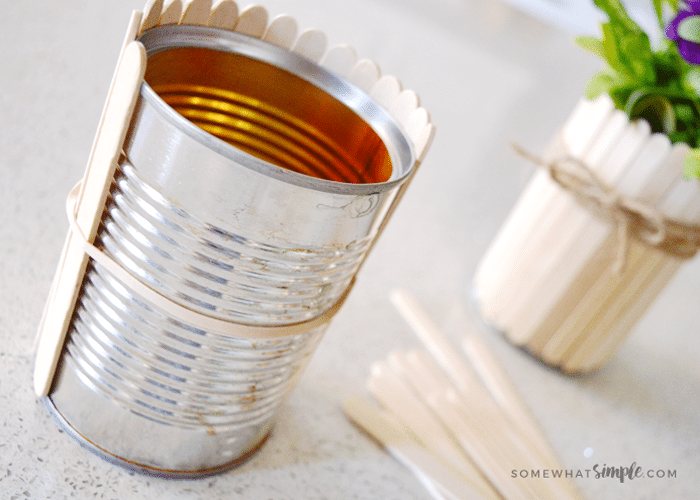 Continue placing popsicle sticks underneath the rubber band all the way around the can. 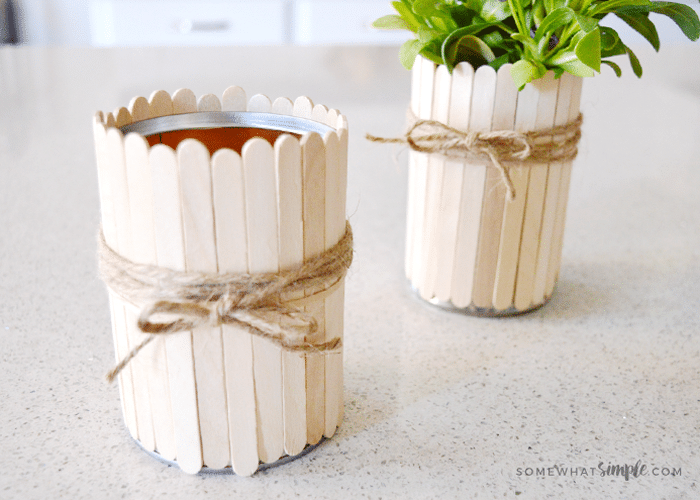 Depending on the size of your can, you’ll need about 25 popsicle sticks to cover the whole thing. Now to hide the rubber band! 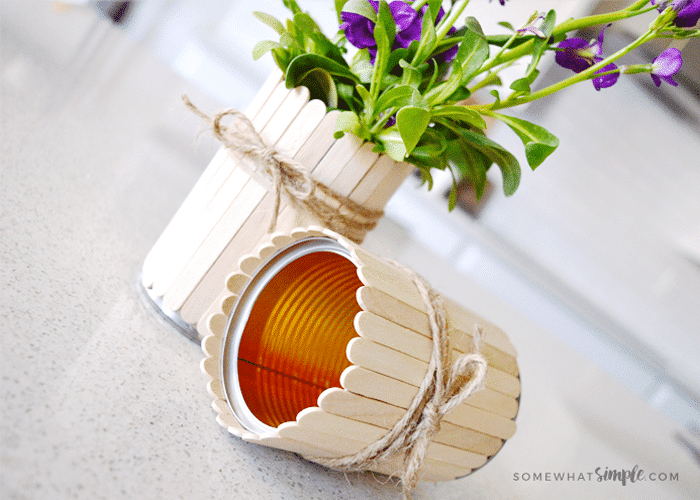 Tie a piece of jute or twine around the can, making sure to go around several times to cover up the rubber band. Finally, add a little bit of dirt to the bottom of the can and plant a flower in it! 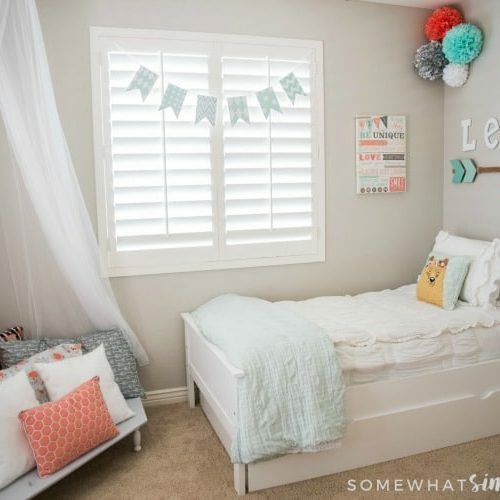 You probably already have these supplies lying around the house! The rubber band is the secret! 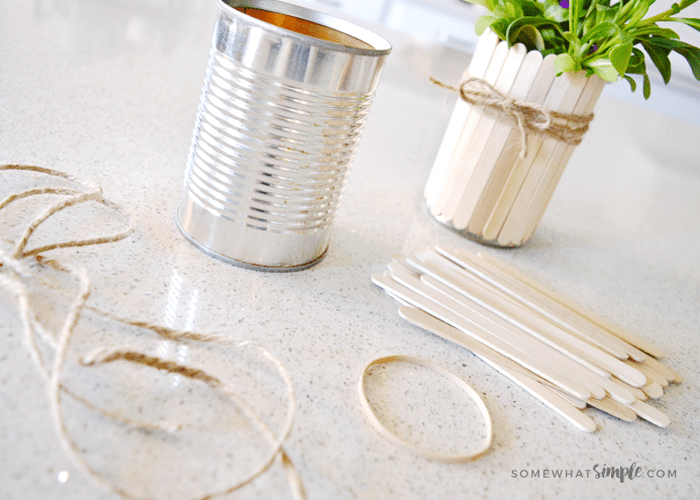 LOVE the natural look of the plain sticks + the jute! Voila! 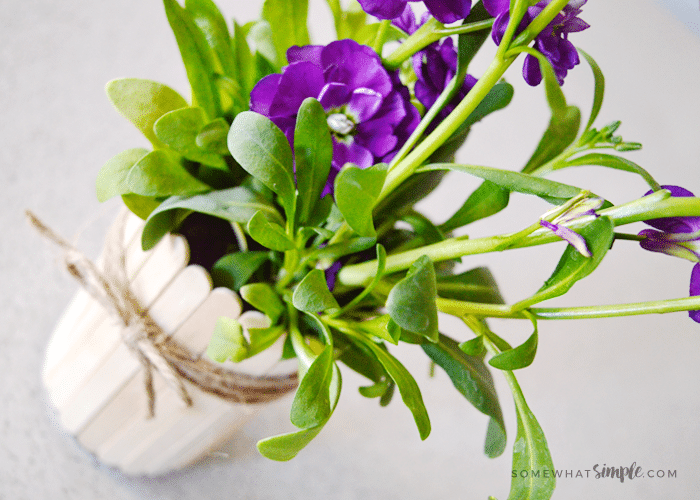 A cute little popsicle stick flower pot that is perfect to give as a Mother’s Day gift or for a favorite teacher as an end of the year present! 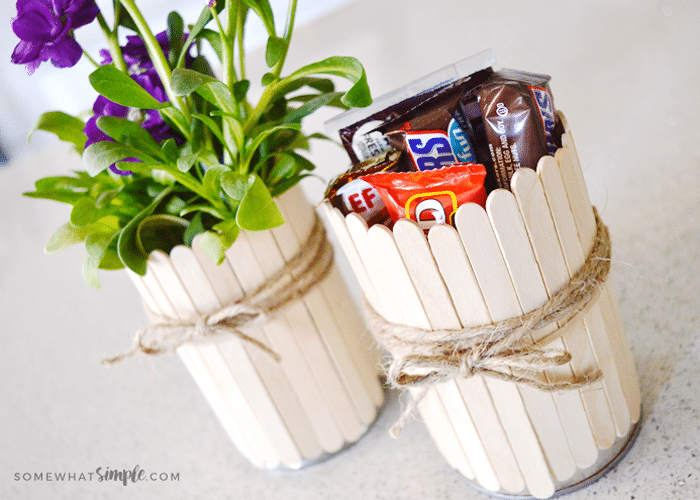 You can make 2 and fill one with treats! So simple, but so beautiful! Have fun creating your own!